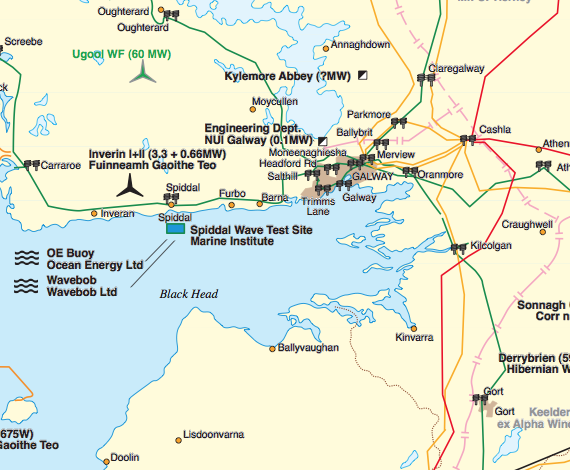 …is a knowledge based company located in Dublin, Ireland specialising in the research and production of maps, educational posters and associated data products. The company works mainly in areas which are constantly changing and particularly in the fields of Aquaculture, Fisheries, Oil and Gas Exploration, Renewable Energy, Energy/Power Generation, Marine Environment and Leisure Subjects. We produce and publish a range of maps and posters for clients and ourselves. The company has a whole series of maps covering many parts of the world. The company is also involved in production of confidential maps and graphics for clients and also sells a small range of maps and posters produced by itself and other companies through its secure online store. The company’s research arm is active in its own right and participates in EU research projects as well as research projects for Government departments, state bodies and private companies. La Tene Maps has been researching its maps for over 25 years and has built up a considerable database in its core areas of activity. It has also built up a huge range of contacts over the years. One of its main philosophies is “knowing the information is not important but knowing where to get it is”. Our major areas of expertise would be Aquaculture , Fisheries, Oil and Gas Exploration , Power Generation, Renewable Energy and generally Europe as a geographic area. We have written, participated and coordinated EU funded research projects mainly in the areas of Fisheries and Marine Renewables. We would be glad to quote on any job in these areas. If what you want researched is outside of these areas please get in touch with us and we will tell you immediately if it lies within our capabilities. We publish a range of maps, posters, directories, and other documents for ourselves and client companies. The company has over 25 years experience in the design, typesetting, layout and printing of publications including corporate brochures, reports, annual reports, posters and maps. A concept to final printed product service is available. The company has a complete suite of desktop publishing and ancillary software and can handle any job in-house. Only actual printing is contracted out. The company offers a complete service from research through to printed product. 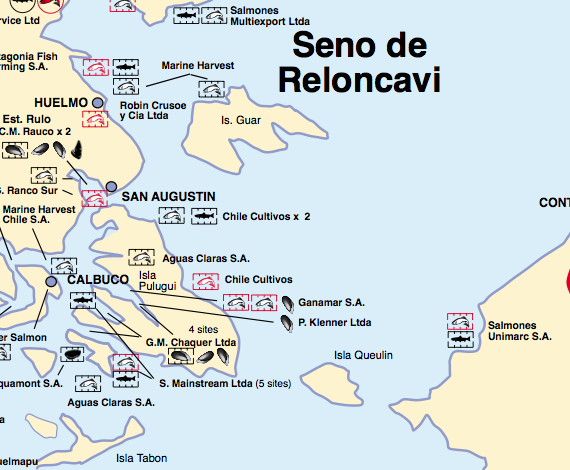 The company specialises in special subject maps. We have a digital database of the world at 1: 1,000,000 scale. We can produce a thematic map of anywhere in the world subject to us having the data for the completion of the map project. 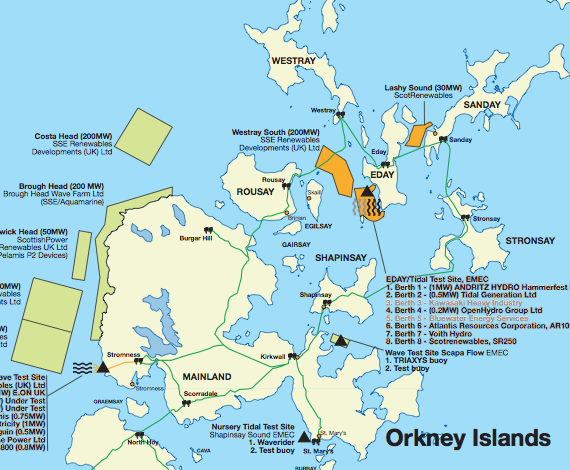 We specialise however in Industry orientated maps and those on marine, environment or natural resource subjects in particular. Map products can be supplied in traditional printed formats, or supplied on film, or digital format for the client to print. Digital formats are also available for computer or web use. Apart from straight forward cartographic production we are able to offer clients customised versions of some of the maps which we produce. These can range from adding a customers logo and company details to a map to having regular updated maps sent to the client on a regular basis. Eg: oil and gas concession maps. Whatever number and size of print the client wants can be handled by the company. Whilst the company is not specifically a GIS (Geographic Information Systems) house, we do have an in-house GIS capability. La Tene use ArcView for its projects and specialises in taking GIS files and turning them into high end cartographic solutions which can be printed or converted into other electronic formats for ease of use on computer systems or websites. We specialise in producing or converting maps, images, graphics or documents for use on the web or for downloading from the web. This usually involves production and conversion to jpeg, gif and/or pdf formats. We don’t construct websites ourselves. We work in tandem with a number of specialist companies to design and produce webpages and websites. The production of posters has been one of the mainstays of the company’s work. The company specialises in the production of educational/awareness posters. The company has produced posters on a whole range of subjects from Aquaculture , Fisheries , Marine Pollution, through to Biotechnology and Aids Research. La Tene Maps can produce posters as a once off for conferences or posters for a multi-print lithographic print run. Typical poster size varies from B1 (700 x 500mm) to A0 (1189 x 841mm). The company has worked on various projects for private companies, State bodies and International bodies in the production of maps and graphics used in special reports, negotiating documents and oil company farmin/farmout documents. The company has acted for several small oil exploration companies and consultants where we have been responsible for all the graphics used by the company in presentations, reports farmin/farmout documents through to design and production of their annual report. Behind each of our maps is a database. These databases are under constant revision and often contain more information on the subject area than the original printed map. Database extracts are available for purchase. For further information please contact us. 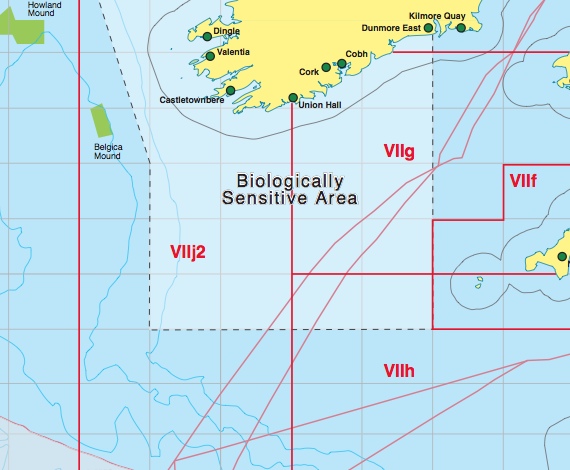 Printed aquaculture maps published by Latene Maps are available free to producing finfish and shellfish farmers in the area covered by the particular map. The maps are also distributed free at various conferences and exhibitions. Printed, Digital Print and pdf files are available for purchase by all interested persons. If you qualify for and want a free aquaculture map, APPLY HERE. 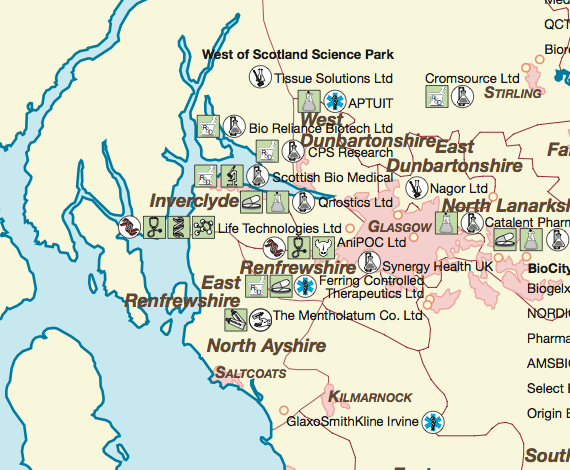 The company has a series of maps covering Anaerobic Digestion (AD), Bioenergy, Biogas, Biomass, Biofuels, Composting, Energy From Waste (EFW), Landfill gas for Britain and Ireland. There is overlap between some of these maps for example Bioenergy could include most of the technologies. Please also see the section on Renewable Energy installations as all the maps there have the Electricity Transmission Systems in the background. Some of he maps in the other renewable energy sectors may have maps which show the Electricity Transmission Grids in the background. La Tene Maps has been producing maps and posters on the fishing industry for nearly 30 years on subjects ranging from Fishing Areas, Fishing Rights ands Fishing Quotas to Technical Conservation Measures and Species Identification Charts. Only our most current maps are shown here. These maps are currently available as printed maps, digital prints or as a pdf file. All the maps can be customised to an individual customers needs. La Tene Maps has also produced fisheries maps and posters for ICES the European Commission and State bodies. This part of our site features probably the best collection of fish species identification posters currently available. Our own series are the only ones available in the world to feature the Irish Gaelic Names. Attractive lithographs created by Suzanne Weitemeyer. A4 size, printed on a cream board. La Tene Maps has been involved in the producing Seafood maps for many years. More recently it has transferred the methodology to meat, dairy foods and beverages. On this site we are only showing the up to date maps we have available. Our food maps show the location of EU approved food production premises by location together with the site operators name. A series of especially designed symbols show what is produced at each site. Side panels list the companies on the map together with their EU approval numbers which can be used for traceability purposes. 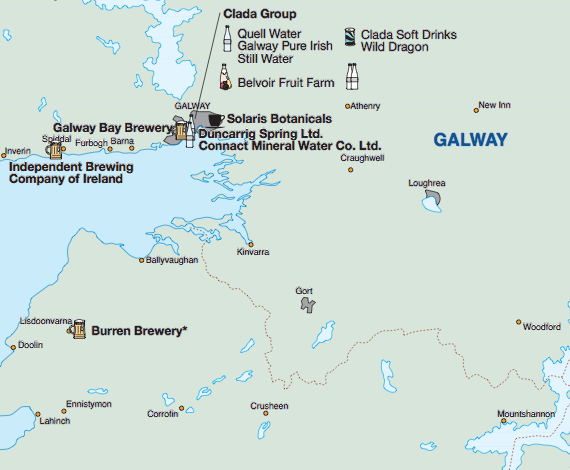 In this section we feature maps on beverages, meat, dairy and seafood. Currently maps are only available for Britain and Ireland. The maps are also distributed free at various conferences and exhibitions. Printed, digital print and pdf files are available for purchase by all interested persons. The company has been covering hydropower on its Electricity Generation and Renewable Energy Maps for many years. La Tene Maps has published maps on British Hydro Installations for ten years. The company is expanding its coverage to Europe with dedicated hydro installation maps. The first one is currently available covering large hydro. Maps on European Small and Mini Hydro are proposed for the coming years. Please also see the section on Electricity Generation & Transmission including Renewables for more maps with a hydro content. Printed, Digital Print and pdf files are available for purchase by all interested persons. If you qualify for and want a free map from the energy series APPLY HERE. La Tene Maps has been involved in the Irish Minerals sector since since the 1990’s and has ambitions to grow the product range in this area for Britain and Ireland Initially. 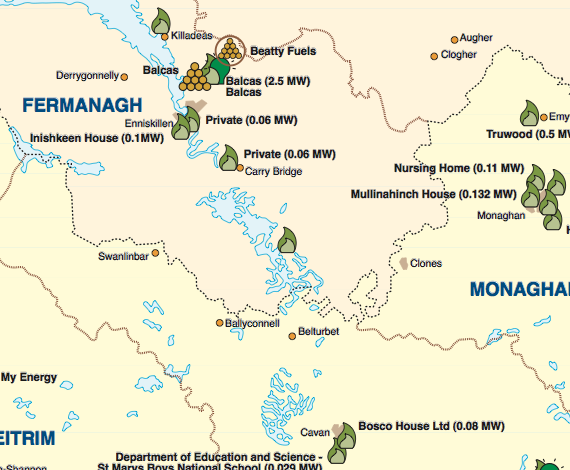 The only current printed map available is ” Ireland – Mineral Exploration, Mines and Quarries” 2013 edition. However we hope to have some maps available in the future on UK Gold and Coal, and Mines, Quarries and Pits. La Tene Maps has been publishing Oil and Gas Exploration maps since the Mid 1980’s. Today the company specializes in the offshore areas west of Greenwich (UK). The sectors we cover are the UK Irish Sea and South West Approaches; West of Scotland and West of Shetland, The Faeroe Islands and of course the Irish Sector. The company also offers a concession map service to those companies requiring regular updated concession maps. Most of our maps are out of date or out of print. Only the current maps are listed. 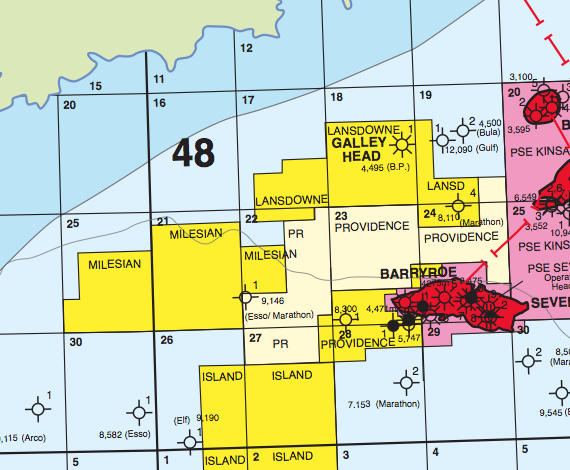 Printed Oil & Gas exploration maps published by La Tene Maps are available free to bone-fide team members with operators or consortia members working in areas covered by the map. The maps are also distributed free at various conferences and exhibitions. Printed, Digital Print and pdf files are available for purchase by all interested persons. If you qualify for and want a free Oil and Gas Exploration map, APPLY HERE. These maps are currently available only as pdf files or digital prints. Over the years the company has covered utility scale solar on some of its Renewable Energy and Electricity Generation Maps. In 2013 the company published its first map dedicated to Solar PV. This was a map on British Solar PV Installations. In June 2014 a map on European Solar PV Installations was published to coincide with the Intersolar Exhibition in Munich, Germany. 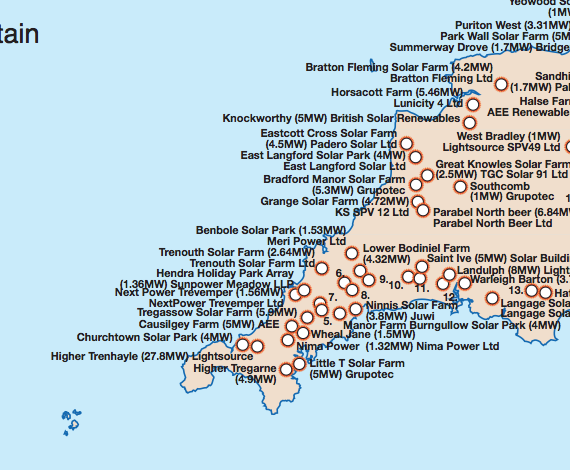 These maps show the location of the solar installations together with generating capacity and site operator. Solar PV maps on America and the MENA area are planned as well as Solar CSP maps. La Tene Maps is an Irish company set up in Dublin in the 1980’s by John Coleman, a cartographer, geographer, archaeologist and teacher. John was educated at University College Dublin and University of Glasgow, Scotland. John now heads a small team of German, Irish and Spanish staff from the company’s offices in Shankill, Co. Dublin, Ireland. This team is augmented by specialists and interns as the need arises. The La Tene part of the company name reflects both the Irishness of the company and the founders historic links with archaeology. In Ireland La Tene is an archaeological term given to the classical phase of Celtic art. The typesite for the art style is a place called La Tene located on the northern edge of Lake Neuchâtel in Switzerland. The company logo includes the celtic triskele and the triple spiral ending in a birds head which is characteristic of Irish Celtic and early Christian art. Located on the northern edge of Lake Neuchâtel in Switzerland, La Tène was identified as an archaeological site in 1857 when amateur archaeologist, Hansli Kopp, found some ancient iron weapons and timber piles driven into the bed of the lake. Draining and dredging the section of the lake in the 1860’s and 1880’s revealed an exceptional wealth of artifacts, including human remains, swords, spearheads, tools and shields. The extraordinary quantity of artifacts recovered since then have convinced archaeologists that La Tène is a representative site for the period of greatest Celtic development and expansion. One most important and distinctively different feature of the La Tène culture is the unique art-style, usually represented in their metalwork. This style most likely developed between the Meuse, Neckar, and Main, and had spread quite rapidly. The era in which it flourished begins around 500 B.C. and ends, on the European continent at least, around 50 B.C. La Tène Culture lifts the Celts from being just another of the many European tribal peoples. La Tène truly establishes the Celts as a real ‘civilization’. La Tène Culture generated some of the ancient world’s most stunningly beautiful pieces of decorative art. The use of animals, plants, and spiral patterns in the art eventually epitomized and perpetuated the legend of the Celts. With the La Tène Culture, the Celts came of age and marked a major cultural presence in Europe. Through La Tène, European peoples saw them as important, powerful, and something to be feared. Their spread across the continent and their impressive presence made them a force to be reckoned with. From Germany and Eastern Europe they spread southward into the Balkans and Italy, and westward into France and Iberia. Before the La Tène Culture of the Celts was finally destroyed by Roman conquest and culture, some of its elements had traveled beyond the continent into the British Isles. Ireland remained (at least no evidence suggests) untouched by the Romans.